For some dogs, a car ride is one of life’s happy experiences—almost as good as a roll in dead squirrel. For others, it’s a nerve-wracking experience that leaves them shivering and tense. What makes the difference? Let’s put it this way: If the destination is always the vet’s office, your dog is probably not going to enjoy whatever gets them there. But if the car also takes them to parks, beaches, and on shopping expeditions, well, then, cars rock. 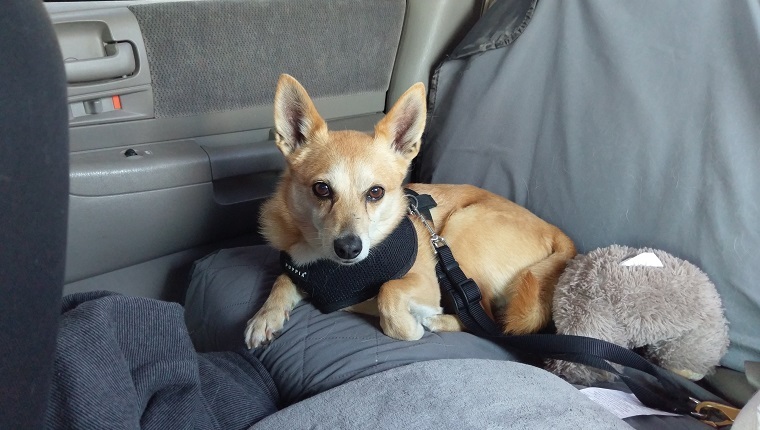 Here are some other suggestions for making a drive fun—and safe—for your dog. The most important pointer is to make driving in a car a pleasant experience from the moment you start spending time together. Many vets recommend you drive your new pet home, rather than pack them in a crate and fly them there, because it’s far less stressful on your dog. If you’re just bringing them home for the first time, ask a friend or family member to come along so he or she can sit next to your puppy or dog, cuddle them, and offer reassurance that they’ll survive this first trip. Within the first days of being home, take them somewhere fun in the car—to a park, or a beach—so they start associating it immediately with good things. Make sure you make each trip pleasant—don’t play the music too loudly, talk to them if they seem nervous, make sure they’re comfortably settled. Treat car sickness. If simple motion sickness is the cause, ask your vet about anti-nausea medications. 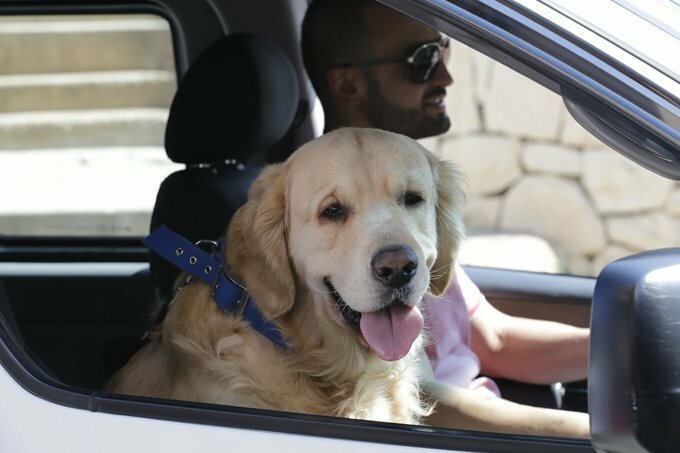 If nervousness at being in the car is the culprit, try having your dog sit in the car without going anywhere, providing plenty of praise and treats; then practice taking short trips that end someplace fun. Bring your dog’s usual food. A sudden switch can upset your dog’s stomach, which is not what you want when you’re stuck in the car together. Try not to feed your dog right before you leave or when you’re on the road. A dog with a full tummy and a car in motion can be a bad combination. Aim for a mealtime three to four hours before you leave, and if you need to feed them on the road, make a pit stop. Take along bedding and toys from home for longer trips. They can comfort your dog when their usual routine is disrupted. Use a safety harness, barrier, or crate to restrain your dog. If you use a crate, secure it so it doesn’t slide around the car. At the very least, keep dogs out of the front seat, and definitely out of your lap. Not only can they distract you and cause an accident, small pups can be killed by a deployed air bag. Don’t let your dog ride in the back of an open truck or hang his head out the window. It’s too easy for a dog to jump or fall out of a truck bed. And even sniffing the breeze from an open window can lead to a vet visit if a pebble or something from the road is kicked up into your dog’s eye. Don’t leave your dog in the car alone on cold or hot (or even just warm) days. On an 85-degree day, the temperature inside a car hits 102 degrees within 10 minutes, even with the windows cracked open. Just 15 minutes in a hot car can lead to brain damage. And dogs can, and do, freeze to death when left alone in cars in winter. Bottom line: Cars are one of the best ways to hit the road with your dog. With a few safety precautions and some advance preparation to prevent car ride anxiety and stomach upset, you’ll both be much more likely to enjoy the ride. Do you take your dog for rides in the car? How do you keep them safe and happy? Let us know in the comments below!